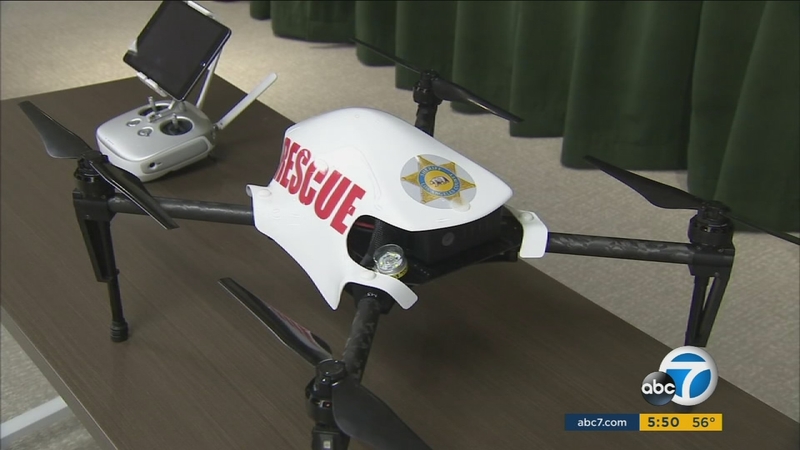 LOS ANGELES (KABC) -- There's a new call for Los Angeles County Sheriff's Department drones to be grounded. The Civilian Oversight Commission overseeing the department voted on Thursday to ask the LASD to stop using the devices. Critics said they fear the drones could be used for spying or could be used to deploy weapons someday. LASD Sheriff Jim McDonnell said the Unmanned Aircraft System program is too important to discontinue. "As sheriff, I have the responsibility to ensure the safety of more than 10 million residents. This responsibility includes using whatever tools necessary and available that can save the life of a human being," McDonnell said in part in a written statement. He added that since the launch in January, a drone has been used five times for critical incidents like search-and-rescue missions and the search for victims of a shooting. McDonnell also said he agrees to adopt the recommendations put forth by the COC that would provide transparency and continuous review of the drone program.